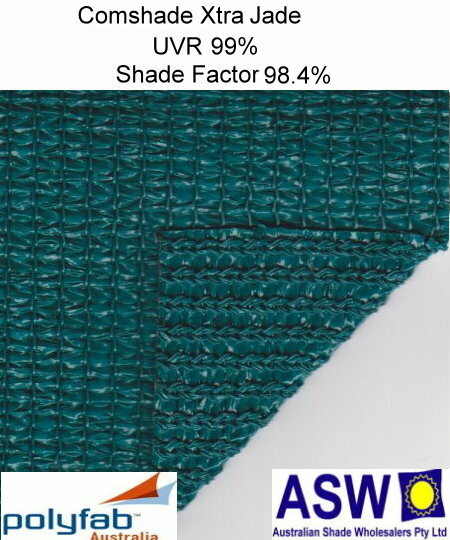 Comshade Xtra significantly exceeds any other shadecloth on the market for UV protection and strength to weight ratios. It is ideal for medium and large sized, high tensile commercial projects where safety and longevity are critical. Comshade Xtra has been developed using the very latest knitting and yarn technology to minimise the fabric weight whilst also maximizing the extremely high fabric tear and tensile strength. Comshade Xtra provides a very stable stretch within the shadecloth. This results in a fabric that will maintain its tension and longevity when designed, engineered and installed correctly by an approved and certified builder.